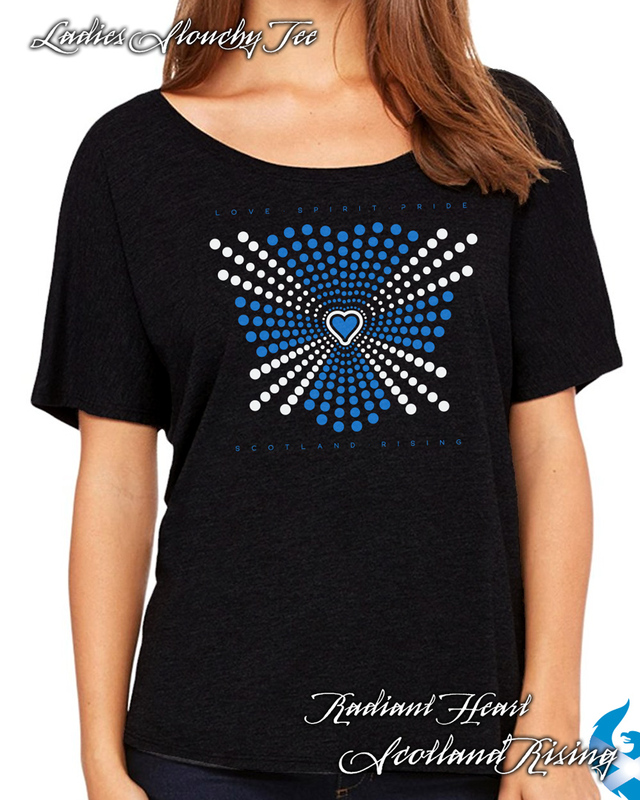 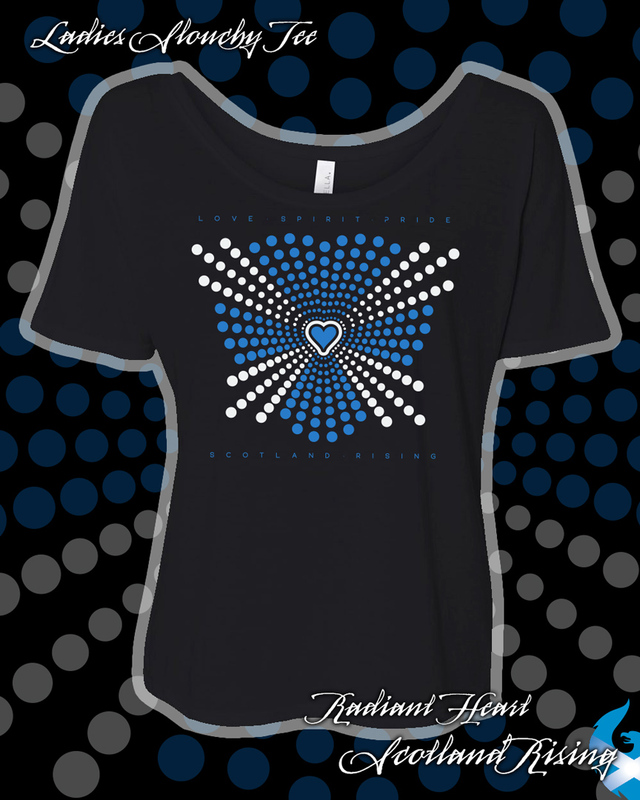 Radiant Heart a fashionable ladies loose fit slouchy tee. 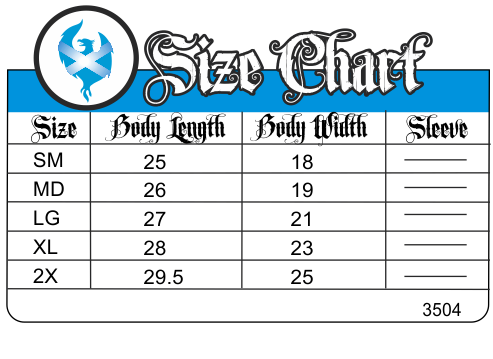 3.7 oz., 65% polyester, 35% viscose. 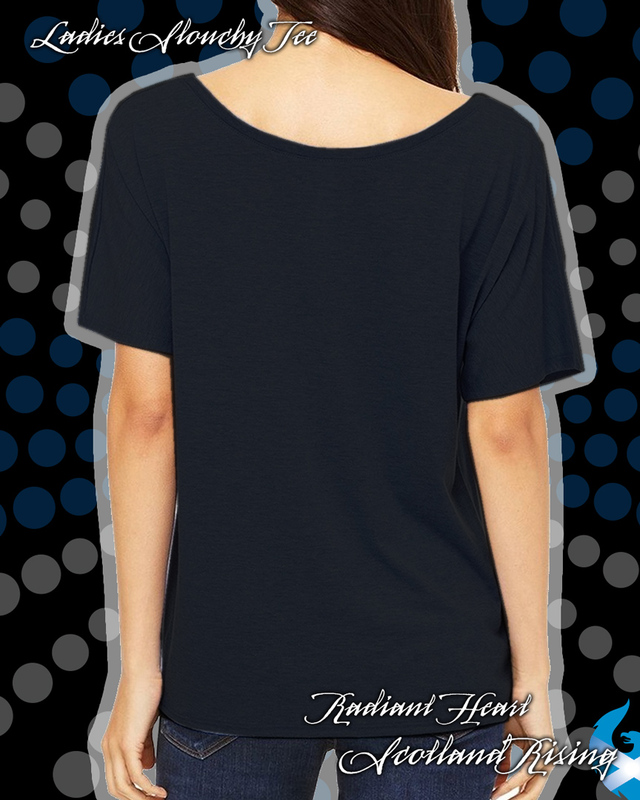 Curved bottom hem; longer body length; slouchy fit; scoop neck; sideseamed. 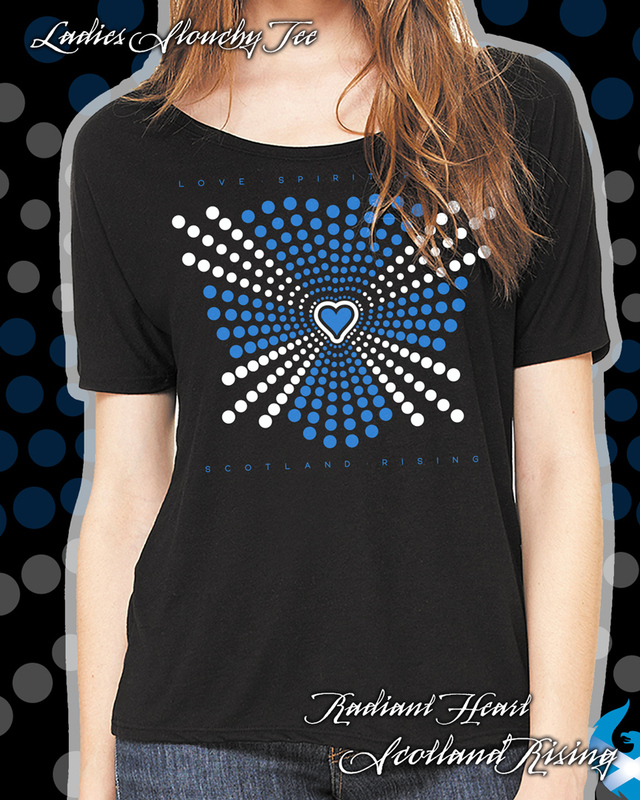 Nice modern fit. 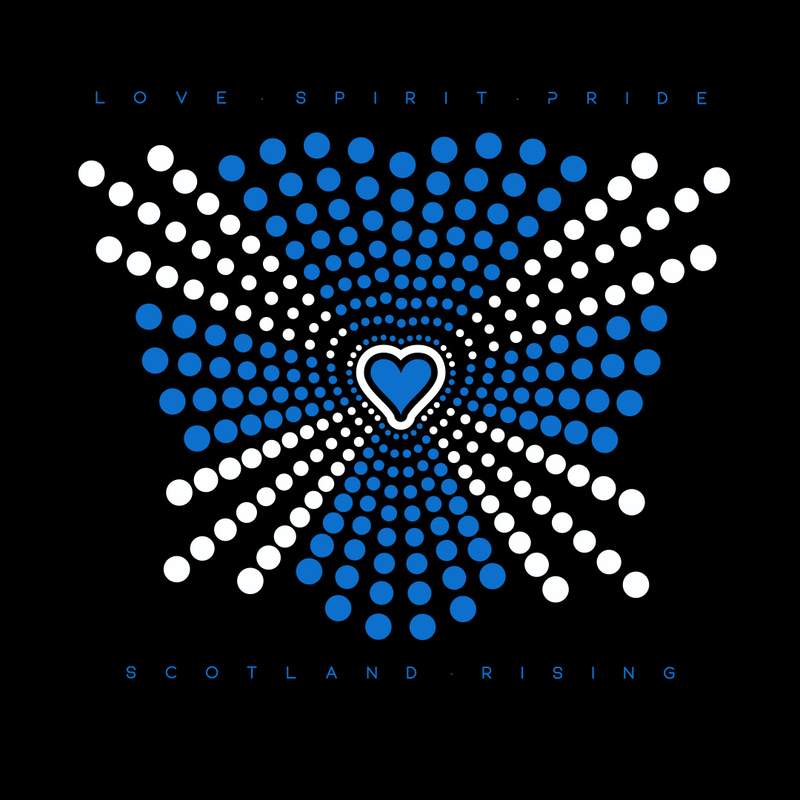 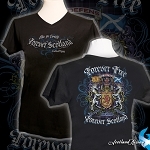 Decorated with original Art from Scotland Rising.